You heard it here first! 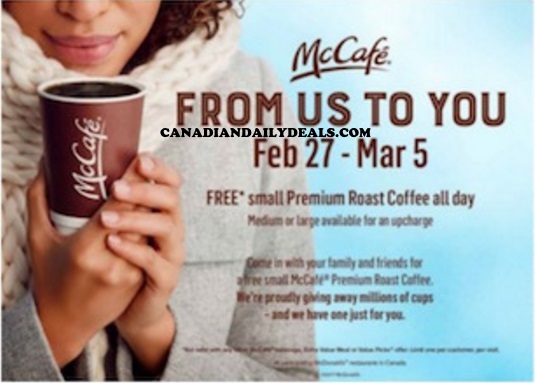 McDonalds is giving our Free McCafe again later this month! Get a Free Small Premium Roast Coffee anytime of the day (Medium or Large available for an upcharge). Offer is valid February 27-March 5, 2017. Did you know that McDonalds does all day breakfast now too? Click here to see our post. Want more Free Samples & Coupons? Fill out the Shoppers Voice 2017 survey here. Click here to find a McDonalds near you.